The cross-party Brexit talks broke up without a resolution, and anything is still possible, but bettors are still backing a deal to pass this year, says Max Liu. If the EU were to refuse an extension to Article 50 on Wednesday, however, MPs would surely vote to revoke article 50 [3.55] before Friday’s deadline. A withdrawal deal is [1.45] to pass this year on the Betfair Exchange after Theresa May warned MPs not to let Brexit "slip through our fingers". 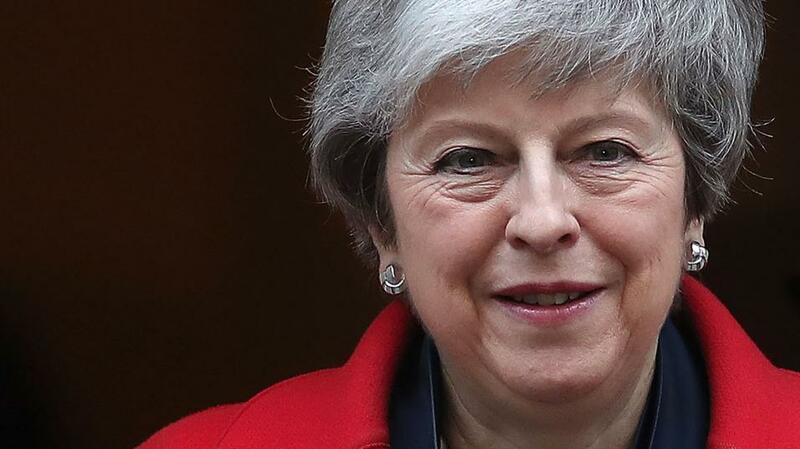 At the end of a week when the Prime Minister held talks with Labour, she said the UK faces a choice between leaving the European Union with her deal or not leaving at all. A no deal Brexit is [5.7] on the Exchange, in from [7.6] before the government's talks with Labour broke up without a resolution on Friday, while the odds on no Brexit before 2022 continue to hover around [4.0]. April to June ([3.3] to back), meanwhile, is still the favourite in Betfair's wide open Brexit date market, while a second referendum on Brexit is [3.0]. MPs voted this week by a majority of one for "the Cooper amendment" which is designed to stop the UK leaving the EU with no deal. As it stands, though, Britain is leaving the EU at 11pm on Friday (12 April) with no deal unless a withdrawal deal is passed or an extension to Article 50 agreed before then. If the EU were to refuse an extension to Article 50 at Wednesday's summit in Brussels, however, MPs would surely hold an emergency vote to revoke article 50 [3.55] before Friday's deadline. It shouldn't come to that. The PM has requested an extension to the end of May. Donald Tusk, however, has suggested a longer extension of up to one year. Tory Brexiteers fear that the EU will insist on a longer extension, tying the UK into holding European elections with the rest of the EU on 23 May. If a long extension leaves us stuck in the EU we should be as difficult as possible. We could veto any increase in the budget, obstruct the putative EU army and block Mr Macron's integrationist schemes. At [1.33], bettors think the UK will hold EU elections in May, but the fall out could be fatal for the PM. According to Nigel Adams, who quit the government in protest at May's talks on Brexit with Corbyn, more than 170 Conservative MPs have signed a letter to the PM urging her to ensure the UK does not take part in the European elections. Adams said: "Doing so will not end well." The implication is that Tory MPs will move against May, although the odds on her leaving office before the end of June have drifted to a very appealing [4.6] and bettors now make her [2.2] to go in the period July to September. A second vote of confidence in the government this year is [1.4]. For Brexiteers, the problem with supporting that is that it could trigger a general election which is [2.72] to happen this year, but the ERG might just be angry enough to forge an unlikely alliance with Labour to bring down May. This week's by-election - which saw Labour hold Newport West with a reduced majority, a reduction in votes for the Tories and an increase in vote share for the Lib Dems and other parties - points firmly toward another hung parliament [1.93], although one in which the anti-Brexit parties could have greater influence and increase the likelihood of the UK never leaving the EU.